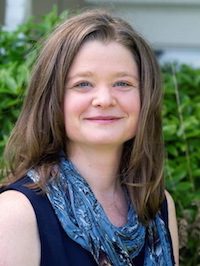 I am a Licensed Mental Health Counselor practicing in Seattle’s Wallingford neighborhood. I have been involved in counseling and counseling-related work in the Northwest for over eight years. Bringing kindness, compassion and a sense of humor to the counseling process, I create an environment that is both welcoming and safe. I am passionate about helping you find your voice, connect to your internal wisdom and heal your relationships. I am committed to working with adults and couples from a holistic perspective, addressing emotional, social, mental, and spiritual needs. Together we focus on who you are and where you are in your life, your core values and the choices you make to serve them. I gently and respectfully challenge you to grow and change in the ways that serve the vision you hold for your life. I draw from an eclectic mix of therapeutic modalities including Existential Psychotherapy, Emotionally Focused Couples Therapy, Gottman Method, Narrative Therapy, Play Therapy, Systemically-Oriented Therapy, Cognitive Behavioral Therapy, CIMBS and Lifespan Integration. My work is also informed by indigenous traditions and wisdoms. I seek to honor times of transition, initiation and rites of passage. I am drawn toward tending and nourishing souls, engaging in the difficult questions of life’s meaning, and the process of emotional, relational and spiritual growth.